My mother and father recently planned a European cruise. They established a budget. They determined the amount of time they wanted to travel. They created an itinerary and booked accommodations. They made certain their travel documents were in order. For many weeks before the trip, they shared information about their travel plans with my siblings and me. My parents are very hesitant about discussing their end-of-life wishes. My parents are not irresponsible. They know how to plan. Their planning can be exceedingly concise where while on vacation my sister, brother, and I know the day and hour my parents will eat pizza in Napoli. What can we do to help create a culture where advance care planning is considered as necessary and beneficial as planning a vacation? Located in Fredericksburg, Virginia, Mary Washington Healthcare is a not-for-profit regional system dedicated to improving the health of the people in the communities we serve. The Mary Washington Healthcare Ethics Committee has embraced an Advance Care Planning Campaign incorporating The Conversation Project resources. There is a general reluctance people have to thinking about death and dying. Embrace National Healthcare Decisions Day (NHDD). In recent years, we are increasingly seeing people who come to our hospitals specifically to learn more about Advance Directives. We are looking forward to participating in NHDD activities this year. We will promote NHDD in local media outlets and invite local media and the Community to the event. Learn more here. We will have Associates who are comfortable walking people through the Advance Directive process at the event. We hope to have some participants who leave the event with a legal, signed Advance Directive. We will have a “mini-registration” for people who have never been patients in our system, so that we can scan their Advance Directives into our electronic record in case they do present in the future. We will have displays, refreshments, both internal and external speakers, participation by LifeNet and The Conversation Project. We will provide Advance Directives, both a long and a shorter, simpler version in English and Spanish. Inform Providers. It is common for healthcare providers to wait for the patient to begin the conversation about advance care planning. We encourage providers to take the lead in initiating a conversation about advance care planning. We created a Palliative and Hospice Care Physician Resource Guide. The Guide highlights advance care planning resources. The Guide includes an Advance Care Planning Billing Guide. We have recorded an advance care planning podcast which we share with physicians. Click here to access the recording. Identify Opportunities. Seek organizations who are committed to improving healthcare outcomes and ask to partner. We utilized the opportunity to feature the documentary, Being Mortal. The opportunity was coordinated by the Hospice Foundation of America from funds provided by the John and Wauna Harman Foundation. We partnered with our local library system to screen the documentary at our regional libraries. Each screening was followed by a post-documentary panel discussion. We partnered with AARP Virginia’s Movies for Grown Ups. We screened the movie The Theory of Everything. The screening was followed by a panel discussion on advance care planning and caregiving. 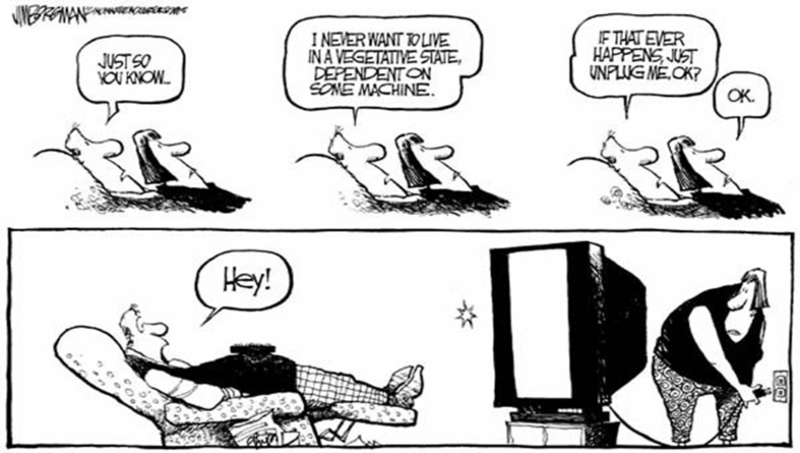 Provide Tools. Provide copies of Advance Medical Directives, The Five Wishes, and The Conversation Project Tool Kit. Utilize every opportunity to present and provide these resources. We have found most people are not ready to complete an advance directive immediately after we present advance care planning material. We are establishing advance care planning office hours where people can ask questions about advance care planning, including receiving assistance to complete an advance medical directive. Ask for Advice. Seek local leaders who may be able to help with public engagement campaigns and provide networking opportunities. Our local Chamber of Commerce Leadership Fredericksburg Program selected Mary Washington Healthcare’s The Conversation Project in the Fredericksburg Region initiative as a project. Leadership Fredericksburg examined creative ways to create a multi-faceted marketing strategy to promote advance care planning awareness in our region and provided feedback to our team about funding opportunities (click here to learn more). Meaningful and lasting change takes time. We continue to educate and encourage staff, patients, and families to get their thoughts together, talk to their providers and loved ones, and document their wishes. I continue to embolden my parents to discuss their end-of-life wishes with my sister, brother and me. Perhaps my parents will be more motivated to advance care plan if they are enticed with a vacation. Mom and Dad, can we cruise? Terri McAuliff is the Community Liaison with Mary Washington Palliative, Hospice, and Grief Support Services. To learn more about Mary Washington Healthcare’s efforts contact Terri McAuliff or Ashland Evans, MHA, CHPCA Director, Palliative, Hospice, and Grief Support Services. The Fox Valley Advance Care Planning Partnership is located in Appleton, Wisconsin and we serve the surrounding area. We are a collaboration of two large health systems, a family medicine residency clinic, and the community with the goal of making advance care planning and conversations an integral part of living. While we like to think of every day has National Healthcare Decisions Day, we do like to commemorate April 16th in a special way each year. 2018 was an exciting year as we chose to engage providers on a wide scale and invited doctors, nurses, social workers, and other clinicians throughout northeast Wisconsin to come together, learn about the Advance Care Planning Partnership, and learn from a leader in the field, Dr. Art Derse from Froedert Health System in Milwaukee, WI. This event was successful as we were able to engage a diverse group of providers, including those who are key champions for this work and others who had no idea that a collaborative and local resources even existed. We connected over appetizers and refreshments, listened to a beautiful musical presentation by a renowned local palliative care physician and his mother-in-law and, importantly, had an opportunity to tell our story including where the Advance Care Planning Partnership came from and where we are going. Our learning session was fantastic and included continuing medical education (CME) credits, which was well appreciated. There are always challenges in engagement and events, including weather— in our case this was in the form of a late-spring snowstorm. About 2/3 of attendees who RSVP’d to the event ended up coming, so while it was smaller than expected, it wasn’t empty. In addition, engaging providers is a challenge in itself. We were very cognizant of the timing of the event, the location of the event, and including CME to entice attendees who required credits. In all, organizing events are challenging. When working with our teams, we keep this in mind and weigh the benefits and consequences of the type of engagement we are planning to pursue. This year, NHDD will be more widespread and we are doing more to engage our partners to take the lead with support of the Advance Care Planning Partnership. Our coalition takes pride in the fact that we are utilizing collective impact theory and do nothing on our own—all work is in collaboration and to support our partners to achieve their mission and support ours. We are working with members to reach out to a number of assisted living communities and our health care facilities with key information and guidance back to our resources and facilitators. We also have strategically planned a multi-part community education session over this time and will be holding a faith-based series, too. While we do this work at other times of the year as well, this is a great talking point and can help to make the messages stick with community members. To conclude, April 16th is a fabulous opportunity to reach out, get the word out about advance care planning and local resources, and engage current and new partners in this vital work. But, let’s be honest, every day is a great day to do this! Don’t let your message get lost in the shuffle and as you plan NHDD this year and beyond; think about impacts that are lasting and actionable. Submitted by: Ellen Koski, MPH, CPH. Director, Fox Valley Advance Care Planning Partnership. My husband's first heart surgery was as a teenager. It gave him many healthy years, a rewarding career and adventures that most people could only dream of. Decades later, he had two emergency heart surgeries within three weeks from cascading issues related to congenital defects. His cognitive abilities suffered from those surgeries. With time and hard work, he recovered much of his brain function, but never to prior capacity. However, with his indomitable spirit – and a cardiologist who listened and honored his values—Bill lived a remarkably good life. My experience as his caregiver in the complex maze of healthcare convinced me that we need to get serious about weaving advance care planning (ACP) into our social fabric, not only for older populations but also for young people, to ensure better outcomes in end-of-life care. Bill's death sparked me to action. I've organized many events, including The Realities of Advanced Medical Interventions which has reached over 2,200 people. This event provided attendees with information about ACP, choosing a reliable healthcare agent, advance directives, and understanding what a POLST is. In 2018, supporting National Healthcare Decisions Day (NHDD), I conceived a program called “What's up, Doc? We're dying to talk." Promoted as an intergenerational conversation featuring 7-minute vignettes related to mortality, the speakers represented people from ages ranging from their 20’s through their 90’s. To generate student interest, I raised $7,500 and divided those funds into five $1,500 scholarships as door prizes. Initially, when I described the plans, skepticism abounded. One person said, slapping the table for emphasis, "Good luck! We've been trying to interest older people in this [ACP] for years, and you expect young people to show up!" I did not let this waver me—I continued to move forward with my plan. Because humor is the great equalizer, I booked an improv theatre professional as master of ceremonies. Gratis! There was laughter, tears, fun, live music, food, and friendship. Sure, the culturally and racially diverse, overflow crowd was lured by the scholarship prizes, but the event was a measurable success. Students remarked that they would tell their parents what they want: "We will have the conversation." "Wow, this is important stuff." "Now, I get it!" One of the scholarship winners, a nursing student, subsequently attended an ACP workshop with her boyfriend, both completing and notarizing their advance directives. She intends to become a certified volunteer ACP facilitator after graduation this spring. Another winner, a member of the Lummi Nation, reported in the Northwest Indian College student newspaper, "the event opened up a dialogue on campus." Supporting NHDD 2019, I have proposed a lead-by-example campaign: "I've Got Mine!". This campaign is in collaboration with PeaceHealth Medical Group. I've taken myriad photos of physicians, nurses, chaplains, hospital and hospice volunteers, prominent community members, a superior court judge, county medical examiner, and others holding up their advance directive, illustrating that they have documented their end-of-life choices. Their photos will be displayed on a "testimonial wall" at PeaceHealth St. Joseph Medical Center leading up to April 16. A local filmmaker and I co-produced a video titled “Have the Conversation” now used by numerous organizations. PeaceHealth posted it on their ACP web page, hospice groups in Canada share it with their audience and Providence Health & Services ACP facilitators use it in their work as examples. Also, in support of NHDD, at my urging, a local musician composed a catchy tune that we used as the soundtrack for this short I've Got Mine! video. As a volunteer advocate, I've faced obstacles and frustrations in trying to mainstream the ACP message. The most disappointing experiences have been collaborating with large organizations. Some entities seem so entrenched in processes and procedures that they are incapable of understanding or being touched by the subtle –and not so subtle – ways they provoke discouragement. History validates that the seeds of change are in the grassroots -- change is rarely top-down—though it is essential to develop, and nurture, alliances with all stakeholders. A most gratifying payoff to my persistence is that Nathan Kottkamp, founder and chair of nhdd.org, called me personally with an offer to visit Bellingham for NHDD 2019! Now, that's a success! We look forward to welcoming him! Micki is a lifelong advocate for peace, justice, equality, inclusion, and equity. In addition to her work in improving healthcare, she is a member of the Friends Committee on National Legislation Bellingham Advocacy Team. She honors her wonderful husband every day -- his memory lights her path when things look bleak. Micki believes that young people are the future -- and that we should never lose sight of our responsibility and obligation to honor them through our actions. In 2017, a nurse approached one of our volunteers during National Healthcare Decisions Week, wanting to complete her advance care directives. After her mother passed, this nurse was left to help care for her ill father during his last moments of life. During an already stressful time, the situation became more complicated when the father’s girlfriend intervened and disagreed with his treatment. This daughter had several conversations with her dad previously about his values and wishes for treatment, but unfortunately, he had never completed his advance care directives. The daughter and her dad’s girlfriend spent more time fighting about his care than supporting him during his final days. After enduring the terrible experience with her dad, this nurse completed her own directives. Then she shared her story with her co-workers, encouraging them to make sure their wishes were documented. We hear stories like this daily. Imagine the pain and conflict that could have been avoided had this nurse’s father documented his preferences. Each of us has our own experiences that influence how we value advance care planning. This is what motivates us to help others complete their directives on National Healthcare Decisions Day. In 2016, a collaboration was formed between Sharing the Care Campaign, UCHealth and the Larimer Advance Care Planning Team, united by a common passion to help individuals complete their advance care directives. Together, we held our community’s first National Healthcare Decisions Day event. This collaboration has helped nearly 1,000 individuals complete their directives. The Health District of Northern Larimer County operates the Larimer Advance Care Planning Team, a program dedicated to making advance care planning a natural and expected part of care. Together, these organizations are leading efforts to transform National Healthcare Decisions Day into a week-long event. They host “lunch and learn style” presentations that introduce the basics of advance care planning. Volunteers help people complete documents at their cafeteria booths from breakfast through lunch, and they tour the nursing units to reach staff directly, even the overnight shifts. UCHealth leaders’ support has been integral in motivating others to see and understand the value in advance care planning. Last year, the CEO of UCHealth in northern Colorado publicly completed his own directives and wrote a letter to staff encouraging them to complete theirs. This support from the top of the organization is pivotal. This ripple effect leaves a mark of sustainability and builds a culture of respecting patients’ wishes and values for medical treatment. Once someone completes their advance care directives, the documents are uploaded into their electronic health record, making them easily accessible and giving peace of mind. Despite our success, recruiting volunteers is a challenge. Each year we learn something new, which helps us to improve the next time around. In past years, we’ve received feedback that clinic staff would like us to visit their locations to help with forms. This year, we plan to concentrate more time at those hospitals and clinics and have extended our reach to a newly opened hospital. With new clinics and hospitals, passionate volunteers, and roughly 340,000 people left in Larimer County to complete their advance directives, we’re excited to see what stories and experiences 2019 brings. Submitted by: Liz Morgan, RN, BSN. Coordinator of Clinical Programs. Interested in learning more? JOIN US on February 20th from 3-4pm EST for our next Community Call in preparation for NHDD 2019! Register here. Sara Beth Berman is a writer and experiential educator living and working in New York City. She is finishing her first book, a memoir about love, loss, and hilarity. Find her on Kveller, Alma, Instagram and Twitter for beautiful realness, educational wonder, occasional rants, and reflections on being an unwedded widow. National Healthcare Decisions Day exists to inspire, educate, and empower the public and providers about the importance of advance care planning. During the week of April 16 – April 22, we hope that you will join us in advocating for better public understanding of advance care planning. It starts with you and your loved ones. 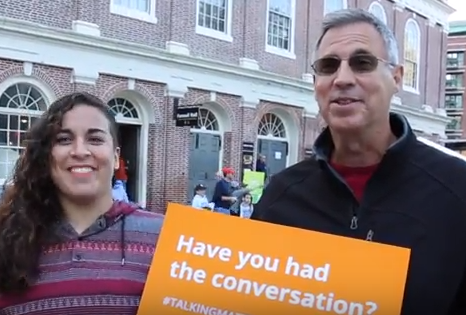 We talked to people in Faneuil Hall (Boston, MA) to understand their views on advance care planning. Wherever you are in your journey of talking about what matters most to you in your end-of-life care, we are here to help. A mother and daughter discuss the conversation. Watch the video here. A mother and son talk about advance care planning. Watch the video here. A father and daughter talk about what matters. Watch the video here. We encourage you to use these videos to promote advance care planning in your communities. We have some suggested social media posts to help get you started! Suggested Social Media Post: Talking matters when it comes to #eolc and advance care planning. Start with you & your loved ones this #NHDD: (https://goo.gl/FjwPgt). When joining The Conversation Project’s National Healthcare Decisions Day (NHDD) initiative in April 2017, our Bioethics team at Baptist Health South Florida (BHSF), reached out to various community groups to educate on the importance of having the conversation about Advance Care Planning. We had a successful two months between April – June 2017, visiting a total of 7 groups; attended by over 100 engaged participants. Following this successful community initiative, I remained enthusiastic about sharing information on The Conversation Project. I found myself eagerly discussing it with our healthcare professionals as I conducted bi-monthly Bioethics orientation for new employees. Additionally, when responding to ethics consults, I had further conversations with various disciplines. 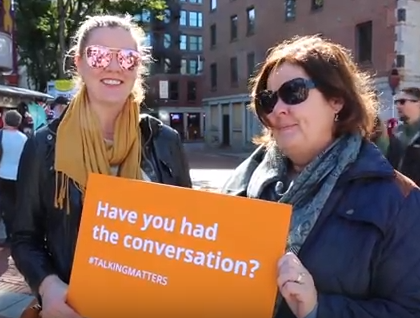 The question I posed often was - “Have you had the conversation about what matters most to you at the end-of-life?” Surprisingly, very few acknowledged they had the conversation about what mattered most to them. Yet, many expressed that more community education was needed. The question then came to mind – “Who is our community?” I realized then that our healthcare professionals were a diverse representative of our community. They were our community! I immediately discussed with our Medical Director and Bioethics team the idea of empowering our healthcare professionals to have their own conversation by providing them with the education, tools, and resources. Ultimately, the expected goal was that they in turn would educate their family and friends to help impact an even larger population of our community. Subsequently, I met with the manager of our CME department who willingly embraced and supported our plans to offer a CME/CE education session called – “A Guide to Effective Conversations about Advance Care Planning”, as an incentive for physicians and other healthcare professionals to attend. By September 26, 2017, the first CME/CE (1.5) education session was conducted by myself and our Medical Director, Dr. Ana Viamonte-Ros, with 21 participants of physicians, psychologist, nurses, and social workers. The 1 ½ hour session included didactics with videos and small group activities. Since then we have coordinated 2 additional CME/CE sessions that have been well attended by our interdisciplinary team of healthcare professionals, totalling 51 participants. Overall, participants appreciated the tools and resources provided such as The Conversation Starter Kit, links to videos, and Advance Directives document. We have created our own canned version of Florida Statute Advance Directives document which are available in English, Spanish, and Creole to meet the needs of our diverse population. In gathering feedback from our participants, approximately 15 already had the conversation but planned on reviewing their documents again; 7 indicated they were going to complete an Advance Directive; 6 were going to discuss with family, while 11 were going to help someone complete an advance directive. As we prepare for NHDD 2018, plans are to engage more community groups in education sessions during the month of April. However, we will continue our mission of empowering our BHSF healthcare professionals by continuing to offer quarterly CME/CE education and providing them with the tools necessary to have effective conversations about advance care planning. An avalanche of grief, combined with mountains of difficult decisions to make and details to attend to, was triggered the moment I received a phone call from my brother saying “Mom’s dead” one sunny May morning in 2006. For many people, it is very hard to start an advance care planning discussion. One of the key problems is finding the “right time” and the “right way” to bring up the topic. All too often, this becomes a perpetual stumbling block because it often feels like the “right time” and the “right way” don’t exist. A solution to this situation is to “blame” NHDD for the timing and the way to start the conversation. Let NHDD be the scapegoat. How can National Healthcare Decisions Day change our culture? We, as a culture, are scared to death of death. And we know this is a problem. We just one month away from NHDD 2014! As the big day draws near, the media coverage around advance care planning (ACP) and advance care directives is increasing daily. Over the past month, we’ve seen a considerable surge in interesting and relevant articles in local and national outlets including national public radio (NPR) and the Wall Street Journal (WSJ). These pieces have been raising interesting (and, in some cases controversial) discussions about everything from La Crosse, Wis.—“A Town Where Everybody Talks About Death” –to how advance care planning can cut medical costs and the fact that caregivers and potential caregivers need to plan ahead. With just two months left until NHDD 2014, conversations about advance care planning (ACP) and end-of-life-care have been heating up all over the country (and the world) over the past month. Since our last roundup, the news cycle’s focus has covered the entire spectrum of issues associated with ACP. It has run the gamut from struggles to have living wills respected—one in Texas and one overseas— and new found support for ACP initiatives to living wills, advance directives and do not resuscitate (DNR) orders as Valentine’s Day gifts. It’s 2014 and we’re kicking off the new year with a fresh National Healthcare Decisions Day (NHDD) news roundup of recent articles relevant to advance care planning. NHDD plans to collect and organize interesting articles each month for our community of people interested in issues related to discussing and documenting informed healthcare decisions. Recent news cycles remind us about the importance of this NHDD community and it’s dedication to raising awareness about advance care planning (ACP). 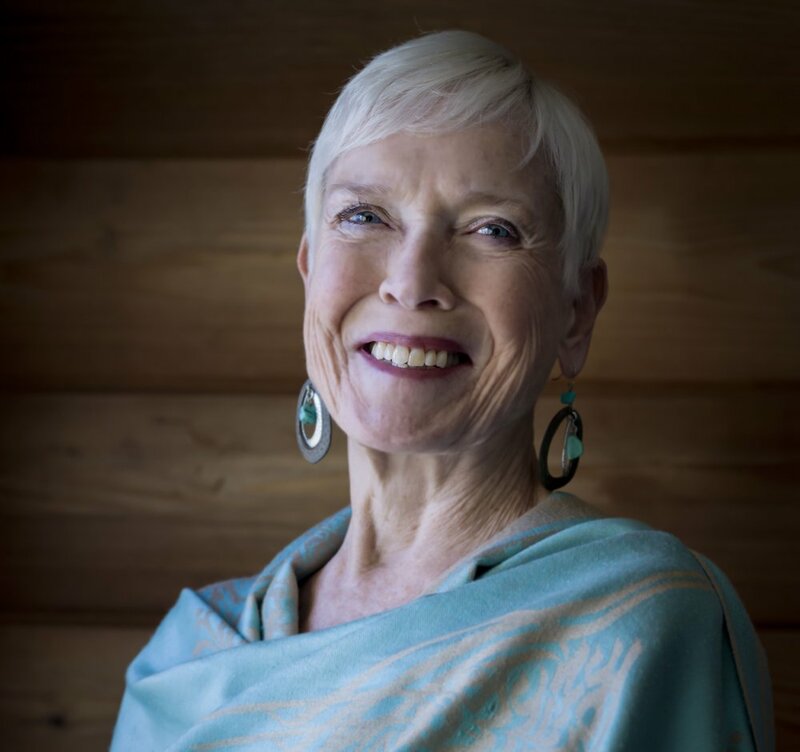 Just this week, Hillary Young, Medical Guardian’s Communications Manager published a piece on the Huffington post urging people to think about end-of-life care titled “Are You Thinking About End-of-Life Care? You Should Be.” Young’s piece is a thoughtful examination of the awareness levels of people throughout the country about the importance of advance care planning and advance care directives. Young references a “new study published in the American Journal of Preventative Medicine” and breaks down the disparities of awareness across the United States. Some of the facts she highlights are alarming, though we would argue, important to examine in building the much needed momentum for the ACP movement. On Sunday, CNN introduced "Dying: What no one wants to talk about" by Jacque Wilson. This piece was spurred by the tragic brain death of 13-year-old Jahi McMath following a routine tonsillectomy. The news outlet explores the sometimes awkward, but necessary conversations and virtues of advanced cared planning in preventing emotional and heart wrenching decisions for families. CNN is also covering a brain death case in Texas “Family seeks to take pregnant brain-dead Texas woman off ventilator,” where Marlise Munoz’s family has had disagreements since she suffered a pulmonary embolism. These stories have sparked a difficult conversation and debate about advance directives that will likely carry-on long after the news cycle has ended. Are You Thinking About End-Of-Life Care? You Should Be. With a little more than a week until NHDD we've started to get excited about our annual day dedicated to inspire, educate and empower the public and providers about the importance of advance care planning. For the past week we've been publishing quick facts and quotes about advance care planning on Facebook and we thought we'd post a quick reminder that using the share button on Facebook is a great way to amplify the reach of good information about advance care planning. Looking forward to advocating with you over the next couple of weeks!